Forest landowners want to limit residual stand damage (RSD) during selective harvests and logging contractors should too. How exactly does this damage happen? You’d be surprised. Don’t worry though, we’ll go over the different types of logging damage and offer advice on how to limit RSD so you can maintain your reputation and secure more contracts. Ground based skidding often causes damage to smaller trees. Bark wounds, broken or bent branches, soil erosion, severed roots… all injuries that an older and larger tree could survive, but these types of trauma can be serious problems for young trees. Depending on the level of damage, these problems may cause significant volume loss and reduction in future harvesting value. When selective cutting in unevenly aged stands, pay attention to the abundance of saplings and poles in the same areas as large diameter trees. When the small saplings are struck with mature trees, it can result in more losses and damage. 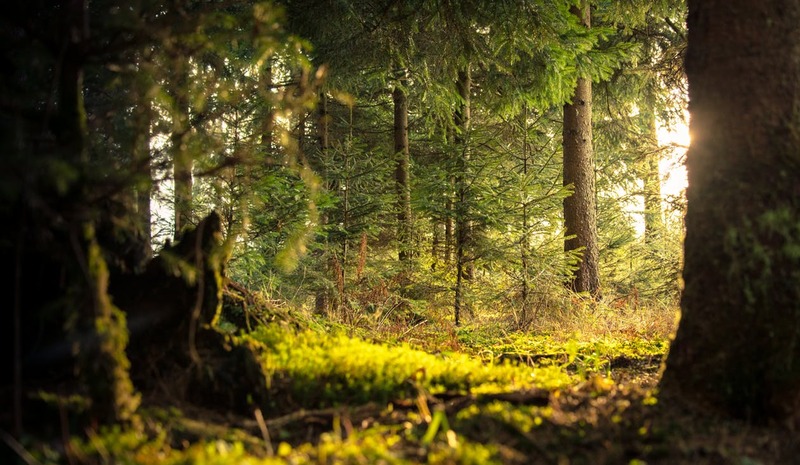 Because timber harvesting happens more frequently in unevenly aged stands, trees are likely to be injured and reinjured… if they survive, their subsequent defects decrease their market value. Trees are a crop - with an extremely long growing season, but a crop nonetheless. With that said “weeding” takes on a different connotation. By removing smaller trees amidst the more mature crop - effectively thinning your stands - allows larger trees to flourish and increases the value of the harvest. . However, as with the other types of residual stand damage discussed, you risk damage to the dominant trees if the harvest team haphazardly thins the crop. To limit the residual stand damage when thinning your age stand or otherwise selective harvesting, take a look at the advice below. Logging damage can’t be eliminated, but taking the proper precautions can greatly reduce the impact. 1) Plan an access system taking into consideration the location of trees to be harvested and create exit pathways that limit turns. Trails and roads should be no more than 15% of total land. 2) Enforce usage of the access system and remind operators to keep loads in the center of the path. 3) Use the smallest size forestry equipment appropriate for the job. 4) Use directional felling heads to prevent damage to residual trees and angle falling trees toward the trail to minimize turns. 5) Delimb felled trees prior to removal. Taking these precautions will limit residual stand damage on your jobs, support sustainable forestry, and keep your reputation clean. To speak with our equipment experts about John Deere forestry equipment and forestry management, visit our nearby Papé Machinery, Construction & Forestry locations.